JAMA just came out with a theme issue subtitled Death, Dying, and End of Life. Here are some quick thoughts and first reactions. I got through the viewpoints and stories. I left a lot on the table for another day, including great work by Atul Gawande, Alexi Wright, Holly Prigerson, Justin Beckelman, Zeke Emanuel, Saul Becker, Leora Horwitz, and Joel Weissman. Theme: On the one hand, it's great that JAMA is finally paying attention to these issues. Kudos. On the other hand, we've put in hard work in palliative care to change the frame from "death, dying and end of life" to "living well with serious illness". Wouldn't it be nice to see a theme issue about promoting quality of life for people with serious illness and their caregivers? Point and counterpoints on physician assisted death. On the pro side we have Tim Quill, Tony Back, and Susan Block (I'll call it the Quill piece). Against is a viewpoint by Tony Yang and Farr Curlin (I'll call it the Yang piece). I'm deeply ambivalent about this subject. After my dad was diagnosed with fatal brain cancer, my parents were very pro. My mom even organized a book signing in Michigan with Tim Quill. Since training in palliative care, all requests for help to die so far have gone away with treatment of reversible sources of suffering (physical, social, psychological). So far. I worry about those who will take short cuts. I grew up with Kavorkian. I worry about the vulnerable. Excellent "words to say" in response to requests for physician assisted death in the Quill Piece. Along with AAHPM's recent 1 page brief on how to respond to requests for physician assisted death, we have a terrific battery of teaching material. As palliative care and geriatrics providers, we have a responsibility to educate front line clinicians who will receive the overwhelming majority of such requests about how they should respond. The Yang piece (against) makes it's most compelling arguments when it asserts that patients do not have a right to demand that physicians help them kill themselves. "The heart of the medical profession is not providing services. Rather, the physician's constitutive professional role is to attend to those who are sick and debilitated, seeking to preserve the measure of health that can be preserved, and to help them bear the pain and progressive loss of autonomy and bodily function that illness often brings." Legal summaries of physician assisted death. There are a couple of good legal summaries of the physician assisted suicide laws in various states (here and here). Missing from this conversation (ahem): perspectives of California physicians. The piece about California was written by people at Brown. It's a good piece. But why JAMA did you reject our viewpoint? Or if not our viewpoint, solicit perspectives of other California physicians? OK, I'm over it now. Really. Canada. Wonderful piece by Harvey Chochinov (he of dignity therapy fame). Harvey is chairing the Canadian External Panel exploring options for a legislative response to the Canadian Supreme Court ruling that physician assisted death must be legal. He notes the contradiction between the Supreme Courts ruling physician assisted death should be legal as a deeply personal response to pain and suffering, and the reality that majority of people who chose physician assisted suicide where legal do so out of existential concerns and need for control - not physical suffering. Jerry Brown's reasoning was similar (pain) when he signed the law in California. Reduce inappropriate ICU admissions. Discuss ICU type care in goals of care conversations. Favorite part: reduce the number of ICU beds. Make them scarce and clinicians will be more responsible and careful in who they admit. Re-evaluate goals of care during the ICU stay. The ICU stay should be viewed as a time limited trial, not an open ended commitment. Yes! Improve shared decision making with patients and families. Love is not enough. Compassion is not enough. Clinicians need training in how to have these conversations. This is a skill, not an emotion. Heck yeah! Improve consensus building among the entire clinical team. Agree on prognosis. Get on the same page. Don't send mixed messages. Make ICUs more humane. "It is time to challenge the notion that ICU care includes pain, incapacitation, and mental anguish as inherent and unavoidable adverse effects." ICU care and good palliative care are not incompatible. They should go hand in hand. Right on! 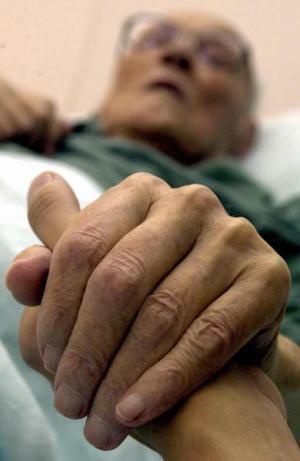 Make Medicare hospice "open access." This is a nice plea from Oreofe Odejide to expand hospice to allow concurrent use with disease directed care. The poignant case of a 66 year old with a blood born cancer who obtains relief of fatigue and bleeding from transfusions of blood and platelets, disallowed by many hospices due to lack of affordability. An attack on POLST. Authors are Kendra Moore, Emily Rubin, and Scott Halpern. I'm a friend of Scott's and work professionally with him. So while I mostly disagree, rather than elaborating extensively, I'll quote Laura Petrillo, who responds to Moore's assertion that POLST "may actually curtail patient-centered decision making when applied more broadly." Laura writes, "We need to encourage advance care planning for a lot more than resuscitation preferences (to the degree that that is possible).. but why the extreme injunction to curtail all POLST implementation/use as a quality metric? Instead of pointing a finger at POLST we should be questioning our status quo of aggressive resuscitation in advanced illness. The POLST is a necessary reaction so that people don't get assaulted by EMS! And it's an interesting thought, but there's no evidence (that I know of), that POLST completion limits other kinds of conversation. It's conjecture." I will say that a nurse researcher was just in my office who was very disappointed in the quality of the POLST conversation a clinician had her sick relative. There is anecdotal reason to be concerned. On the other hand, I've seen many wonderful conversations evolve from the decision to complete a POLST. Those are important anecdotes too. Let's not throw out the baby with the bathwater. What would mom want? Author Teddi Anderson Curry. Oy. Vey. This is heavy. And great reading. A daughter is asked by a relative to consider administering a fatal dose of morphine to her mother, dying of COPD. Would her mother have wanted it? This piece speaks eloquently of the potential emotional and moral cost of ending another's life. A plea to expose medical students to dying patients. Author Daniel Shalev. Nice, somewhat long story, that makes the point that medical students should learn how to care for dying patients. It's an integral part of medical education. Hope is that Thing With Feathers. Author Larry Kripe. Great story about an oncologist learning hard lessons about hope. Though I'm an amateur birder and gardener too, I didn't really get the Emily Dickenson bird analogy. Can someone explain it to me? thanks for the great summary. Had a recent conversation with several MDs and NPs re: physician aid in dying. Quite a number would "want it for myself" more because of control than suffering. Interesting. In a whole issue of JAMA on end of life issues - not a word on long-term care, nursing homes, home care, family and paid caregivers - indeed, one might have thought that cancers were our major concern. Really? There is also the two research letters discussing the trope that doctors die differently. I didn't see you mention that in your summary above. On Pallimed, I took a look at the research behind them and my conclusion was: doctors die slightly differently than everyone else, statistically speaking. I see you all will be reporting on a legalize assisted suicide bill upcoming. I have found (serving 60 fair booth days) that about half of the public thinks they are in favor of such a law, that is until they learn about the flaws in the laws that create new paths of elder abuse with immunity. Once they learn that a predatory heir may steer the signup process and then forcibly administer the lethal dose without oversight, they all said, "I am not for that!". Anyway all of these Oregon Model bills have the same flaws that eviscerate flaunted safe guards. Here is an example list of flaws posted recently about the New Jersey bill that failed. No requirement of mental health evaluation or pain relief consultation. Permits an heir to witness a death request. Requires no oversight on whether the patient was willing to take the lethal drugs. No requirement that a medical person be present to supervise the ingestion of lethal drugs. Allows a third party familiar with how the patient communicates to make the death request. * Permits lethal drugs to remain in a patient’s home without securing them. * Relies on the inaccurate premise that a doctor can predict death within six months. * No distinction as to whether the death prediction is with or without treatment of the patient. * No required notification of family members. Falsely certifies the cause of death. The New Jersey Alliance Against Doctor-Prescribed Suicide is a broadly-based, diverse coalition of organizations strongly opposed to the legalization of assisted suicide. Use this as a check off list on your bill when it is published. Well worth your time. Helen - MUCH clearer with the full poem. Appreciate it, and your frequent comments on our blog. Joanne - yes, major deficits in lack of attention to non-cancer diagnoses in this issue. The two major original research articles, while terrific, were on cancer. My sense is that JAMA has nott been very friendly to GeriPal type research and commentary, despite obvious needs and demographic trends. Bradley - thanks for your points, note the bill is already law in California, not upcoming. We have a commentary on the law under review. Thanks for the great post. One thing you didn’t mention is the cover picture which sets the tone for the entire group of articles. The cover depicts a cemetery, with long shadows spread across the page in an ambiguous and foreboding manner that might come from a cartoon by Charles Adams, and might be an ad for a new teen slasher movie. Geriatrics – a field that deals heavily in issues of death and dying - has long suffered from a set of prejudices with aging presented as a progressive, incurable disease. This image, which many of us try to confront and change, has effectively deterred many newcomers to the field. In this context, the JAMA cover is tasteless and inappropriate, and certainly does not help in presenting an accurate, balanced or constructive view of the field. I'm a layperson who developed BestEndings.com as a result of being motivated by #hpm chats. I've been attending Physician Assisted Dying consultations in Canada, and what's become clearer and clearer to me is that what seems needed in medical school training is evolving the perception of 'harm' to keep up with medical/life prolonging advancements that can cause as much harm as dedication to fix/cure/save. When we started implementing POLST in California, we quickly found that POLST highlights the weaknesses in the current system. In that way, POLST is a blessing because it brings clarity as to changes that are needed. Don't let the perfect be the enemy of the good. If we are going to make progress - and create the system of health care and care that we all want - it's not always going to look pretty along the way. Let's leverage what has been palliative care's greatest strength, namely collaboration, and build up one another because the journey ahead is significant. Helen - Majority of people chose death with dignity (as it is referred to here in Oregon) because of lack of control. They define loosing control as suffering and a loss of dignity.